I have a fantastic giveaway for you today! The pattern will be emailed to the winners in pdf format. 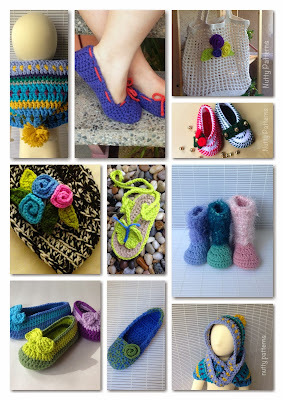 I love the Crochet Pattern * His and Her Loafers * Instant Download #432 * for babies and toddlers *Pdf pattern * Newborn - 3Yrs! So adorable and would look darling on my little ones feet! Lovely patterns, would love to win one of them. My favorite is definitely the infinity hat! I've never seen one like that!